I have loved Scooby Doo for many years. I love that a group of kids and a dog can solve the crime every time. Scooby-Doo! and the Curse of the 13th Ghost is now one of my favorites. There is nothing like the adventures these guys go on. In this great nee movie we really get to see Daphne come out of her shell. 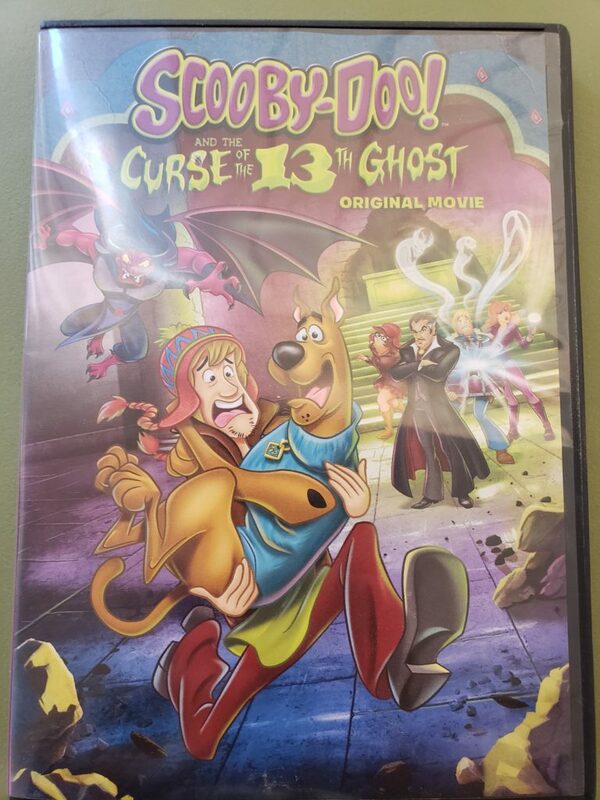 We also learn why Scooby and Shaggy are really afraid of ghosts. In this adventure we learn a whole past that Daphne, Scooby, and Shaggy shared that the others knew nothing about. Now they are on the way to find a mysterious 13th ghost that got away years ago. It might just be me , but I think that the Humor on Scooby-Doo has really gotten better. Maybe its now that I am older and I get it a lot more but I was laughing the whole movie.